An ambitious, slightly rebellious idealistic teacher (Who Happens to be White) accepts Bennington county, SC’s school board superintendent’s offer to teach the all-black kids of the pauper fishery. In the process lives are changed forever. Predictably, some secular media sources have taken a DNA study, and attempted to argue it somehow disproves or contradicts the biblical account. It doesn’t. Canaanite is a generic name for several peoples who lived in the Middle East, in the area now occupied by Israel and Lebanon. The Phoenicians, who developed the first alphabet, were Canaanites — the term “phonics” is derived from this connection. The Carthaginians, who later fought the Punic Wars against the Roman Republic, were also of this ethnic extraction. The study adds some interesting information about the region today. Yet, the Daily Mail and many other media sources chose to report the findings in a way to cast doubt upon the veracity of the biblical accounts, asserting that the research is contrary to the biblical account. Why would there be any concern about intermarrying with a people who had been utterly wiped out? Deuteronomy 7:2-5 explains the concerns was not ethnic prejudice, but remaining faithful to the God of Israel: “Furthermore, you shall not intermarry with them; you shall not give your daughters to their sons, nor shall you take their daughters for your sons. For they will turn your sons away from following Me to serve other gods.” The text goes on to direct the destruction of Canaanite religion, which consisted of human sacrifice and sexual immorality. Despite these warnings, some Israelites no doubt did intermarry with them. In many cases, the indigenous Canaanites probably converted to the God of Israel. We can see this with Rahab [a Canaanite woman] who converted to Israel’s faith, the problem was not intermarriage so much as intermarriage with non-believers. We see the same thing in the Book of Ruth, when a Moabite woman intermarried into the Jewish nation, trusting in the God of Israel herself. Both of these women are ancestors of King David, and ultimately Jesus Himself (on His mother’s side). Other Canaanites survived and became part of the nation of Israel, while others survived as continued nuisances to the people of Israel. As cited in the Book of Joshua above, God did not continue to drive out some of the Canaanite people, because of the disobedience of the Israelites. This should serve to illustrate, however, that far too many secular journalists look for opportunities to attack the Bible. Since the Bible did not say all the Canaanites were destroyed, it is logical to presume that some of their descendants are still living today, many in close proximity to their ancient neighbors. One only has to look at a map of the region today to figure that out. A faith barrier is made up of attitudes that short-circuit our trust and prevent us from obeying the Lord’s will. A negative self-image can hinder us in this way, as can ignorance of God’s character and promises. As we see in Moses’ life, three other attitudes can also trip us up: doubt, feelings of inadequacy, and fear of failure. Moses doubted the Israelites would believe the Lord had chosen him to lead them. But God graciously reassured him by providing demonstrations of divine power (Ex. 4:1-5). When doubt invades our minds, it can be overcome with diligent study of Scripture and persistent prayer, which will replace uncertainty with biblical truth. Moses wasn’t eloquent, and a perceived lack of skill left him feeling inadequate for the job—he was afraid trying to speak would make him look foolish. God patiently reassured him of divine help in that task (vv. 10-12). The Lord often chooses unlikely people to carry out His plan because He looks at the heart, not human qualifications (1 Samuel 16:7). He can overcome all our inadequacies. Thankfully, Moses eventually obeyed. But at first, he didn’t embrace God’s instructions and instead asked to be relieved of the assignment (Ex. 4:13). A fear of failure can prevent us from saying yes to the Lord. Carrying out God’s will requires a heart that trusts Him, a soul that steps out in obedience, and a mind that leaves success or failure to Him. As we break down the faith barrier, we will be able to see the evidence of God’s presence and power—and experience the joy of obedience. Many beautiful descriptors are used in the New Testament to illustrate the powers of the Word of God, both spoken and written. For example, the Lord Jesus is called “the Word of life” in 1 John 1:1, and Paul, speaking of the Scriptures, reminded the Philippian Christians that they should be “holding forth the word of life” (Philippians 2:16). Jesus called the Scriptures, which were to be spread through the world like seed sown in a field, “the word of the kingdom” (Matthew 13:19). The apostle Paul called them “the word of faith, which we preach” (Romans 10:8). Quoting a particular Scripture, he spoke of it as “the word of promise” (Romans 9:9). As His witnesses and ambassadors, it is to us that He “hath committed . . . the word of reconciliation” (2 Corinthians 5:19), wherewith we are to beseech men to be reconciled to God. 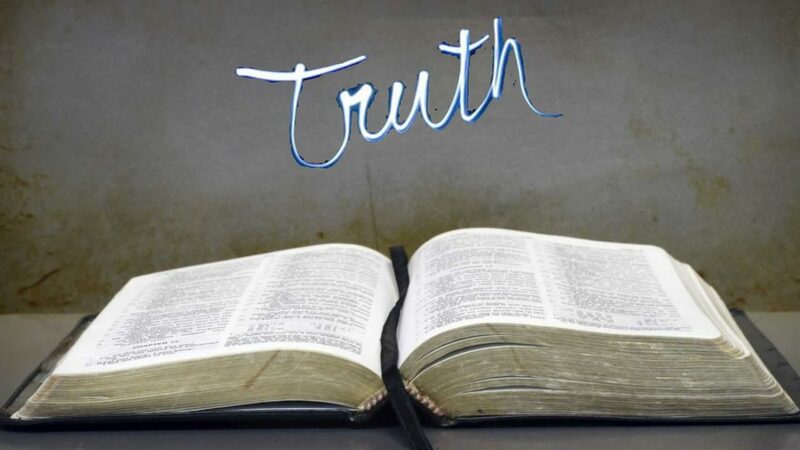 Paul also said that “the word of truth” was nothing less than “the gospel of your salvation” (Ephesians 1:13). We will take another draught from the overflowing well of David’s ever fresh and sparkling Psalm. May the Holy Ghost make it really refreshing to us. Blessed be the name of God, our Father, this is most joyfully true. Some of us here present can say, “Amen, Amen.” Every promise has been fulfilled in its season. We have served a good Master and loved a faithful God. Alas! we have not dealt so well with him as we ought to have done. One of the Reformers, in a public discussion, was observed to write upon a paper before him. His friend wished to see the notes which had so much helped him, and was surprised to find that they consisted simply of these brief prayers, “More light, Lord; more light, more light.” This is just what David asked for, let us seek the same. Sweet are the uses of adversity; it pens in the sheep so that they cannot wander as before. It is the nature of goodness to communicate itself, therefore does the psalmist beseech the good Lord to show him how to be good. He would answer their calumnies in the most effectual manner, by living them down. They suffered spiritually from fatty degeneration of the heart, and were doltish, gluttonous, lifeless; David made them a warning to himself, and all the more delighted in the law of the Lord. Thou hast made me, be pleased to new-make me. I am thy work—complete me: I am thy harp, tune me; I am thy child, teach me. The grace experienced by one believer cheers others; indeed a good man is always a son of consolation to his brethren. He who comes forth perfumed with the spices of God’s word, imparts delight to all with whom he associates. This we may be quite sure of, but we are apt to forget it when we are on the bleak side of the hill. The phrase, “according to thy word,” shows us that we should in prayer plead the very words of God, laying our fingers upon them, and by the power of the Holy Spirit, beseeching the Lord to be as good as his own promise. Rest assured he will never deny himself. He is not the son of man that he should repent. Under persecution the Psalmist ran at once to the Word. Never begin to argue, or grow angry, but run to your Father in heaven, when men upon earth do you wrong. And brought my wandering soul to God! But now I love and keep thy word. Lord, I am so thankful that You came to give me real life! You didn’t save me so I could live the rest of my life in defeat and poverty. You didn’t redeem me so I could be sick, depressed, and sad. You came to give me life, and I am determined to enter into the reality of that life You promised me. Forgive me for ever allowing the devil to talk me out of the blessings You have designed for my life and my family. I’m taking my eyes off the low road, and I’m headed for the high road of blessing You have planned for me! I confess that Jesus Christ gives me a life that is filled with extraordinary abundance! He came that I might have, keep, and constantly retain a vitality, gusto, vigor, and zest for living that springs up from deep down inside me. He gives me a life that is not rattled or easily shaken by any outward event. I therefore embrace this unrivaled, unequaled, matchless, incomparable, richly loaded, and overflowing life that Jesus came to give me! If an unbeliever looked at your life, would he say that you had an “abundant life” or that you lived a low-level, meager existence? What do you think “abundance” would mean to an unbeliever? How do you gauge an “abundant life”? Do you measure abundance in terms of spirituality, finances, health, relationships, or employment? How many of these areas do you think Jesus was referring to when He spoke of living life “more abundantly”? In what areas are you not experiencing abundant life? It would be very helpful for you to make a list of these areas so you can pray about them and begin to believe for God’s abundance to flow into these parts of your life. The word “thief” gives a picture of a bandit, pickpocket, or thief who is so artful in the way he steals that his exploits of thievery are nearly undetectable. 1. Work from the assumption that the Bible is authoritative. 2. The Bible interprets itself; Scripture best explains Scripture. 3. Interpret personal experience in the light of Scripture and not Scripture in light of personal experience. 4. Biblical examples are authoritative only when supported by a command. 5. Scripture has only one meaning and should be taken literally. 6. Interpret words in harmony with their meaning in times of the author. 7. Interpret a word in relation to its sentence and context; a passage in harmony with its context. 8. Since Scripture originated in a historical context, it can be understood only in the light of biblical history. 9. Historical facts or events become symbols of spiritual truths only if the Scriptures so designate them. 10 When two doctrines taught in the Bible appear to be contradictory, accept both as scriptural in the confident belief that they resolve themselves into a higher unity.